Don’t let the end of summer steal your sparkle, you magnificent creature. Keep the glow going through fall with these cosmetic products from Pixi. 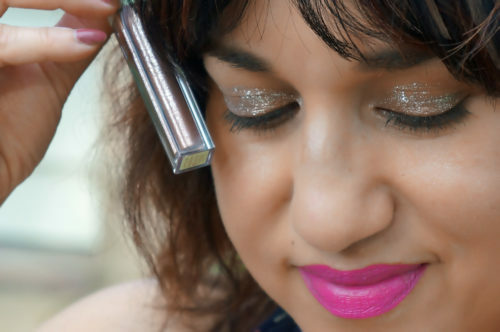 You’ll love this makeup and the glittering effects they create. With a creamy, skin-like texture, these luminous miracle powders lighten, brighten, and add a natural-looking ethereal glow to your skin. Choose from two shades: Subtle Sunrise and Delicate Dew. I’m wearing the latter option below. You can join the Glitterati with these ultra sparkling liquid eye shadows, featuring a 3-D effect. Wear solo or over your usual eye shadow. You’ll glimmer, shine, and enliven your look. With five shades to choose from, you can’t go wrong. I’m wearing BareBrillance below. So don’t let summertime sadness get you down. Sparkle on! 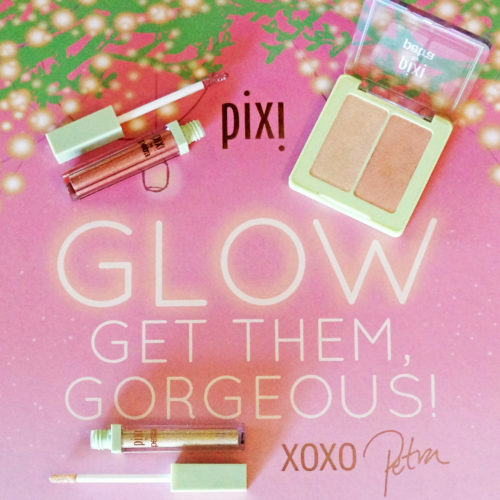 Shop for Pixi’s glowing makeup line at PixiBeauty.com, Target, or Anthropologie. Complimentary products received, but did not affect my opinion.